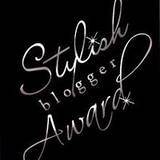 I've recently received a couple of blog awards, the first from Victoria of the lovely fashion blog My Favourite Fashion, which is full of inspiring finds from high street and vintage to charity shop thrift - I find myself popping over every couple of days for another look! Thank you Victoria! Seven things about me . . . . .
6. 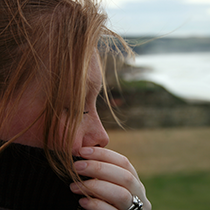 I studied Law for two years before realising it was making me miserable! 3. A Monkey Fatshionista - proving that a fuller figure doesn't prohibit following fashion! The second award came from Sabre of Heirloom Gypsy, one of my picks above! 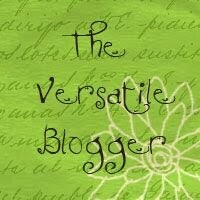 When I first stumbled across her blog I saw the header and knew I'd found another little corner of the web to visit often. Before I pass the torch I'm to share 8 things about myself, so teamed with the 7 above any of you reading this will gain far more knowledge than you had intended about me! 1. Have never been able to get on board with rice pudding, it looks sinister to me, like alien spawn! 7. I don't swear frequently but I once got locked out of my apartment block and, frustrated after horrible morning, I jumped about like a madwoman shouting every obscenity I knew before realising there were at least 30 children lined up across the road waiting with teachers and parents for a bus. 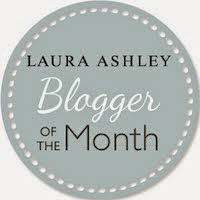 Thank you ever so much for sharing some things about yourself and for the fabulous blog award :) Now...just to try and think of 7 more things to share. Hmmmmmm, it may take me a few days, but I'll let you know when I post. thank you so much for thinking of me and awarding me the lovely award. I will try and get myself organised and think of seven things to share. It was great reading more about you, I certainly share some of the things you list with you. Aww I'm touched that you think I'm worthy of a mention! Thanks Jem! Thank you so much for thinking of me & for your beautiful words about my blog. Congrats on your award! I like your answers, they're cute. I've never seen any of those blogs you posted, so I can't wait to check them out! Thank you Jem for thinking of me and for your kind words. I loved reading the bits and pieces about you...so fun!